The Roman Catholic Diocese of Nelson says it was only given two days' notice from the federal government before a sponsored refugee family was to arrive. An organization in Kelowna, B.C., is complaining about the lack of notice from the federal government about the arrival of a family of refugees it's sponsoring, who will be arriving this week. Keith Germaine, the spokesperson for the Roman Catholic Diocese of Nelson, said his congregation has been waiting for months for a family of four to come to Kelowna. 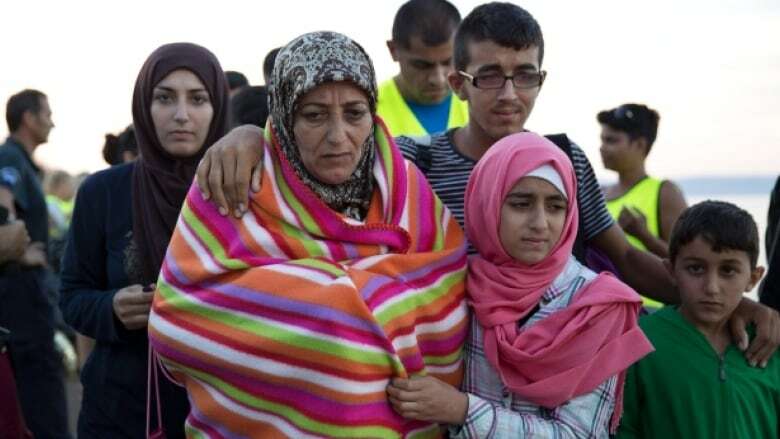 What happens when the Syrian refugee flights start landing? Germaine said the federal government only gave him two days' notice before the family arrives Friday. "It's difficult to plan with that kind of notice," he said. Fortunately, the family sent word over the weekend to let him know they were booked on a flight to Canada. He had less than a week to secure housing, and said he's thankful organizations like Habitat for Humanity offered to donate a vacant home. "They said, well, we'll clean up the place, we'll paint it, we'll clean up the carpets in two days, we'll just have a crew here and we'll do it, we'll get it done," he said. The Ministry of Immigration, Refugees and Citizenship Canada told CBC News it tries to give as much advance notice as possible, under the circumstances. "Given our efforts to resettle these refugees as quickly as possible, there will sometimes only be brief periods between us finishing our processing and having the refugee travel to Canada," said a ministry spokesperson in a written statement. Germaine said he understands the federal government is working on a tight timeline, but he doesn't understand why he wasn't notified earlier. "At the same time as they let the family know, why not let us know?" About 200 privately-sponsored refugees are expected in B.C. before the end of December. Sponsors across the province say they are being told to anticipate short notice of arrivals.